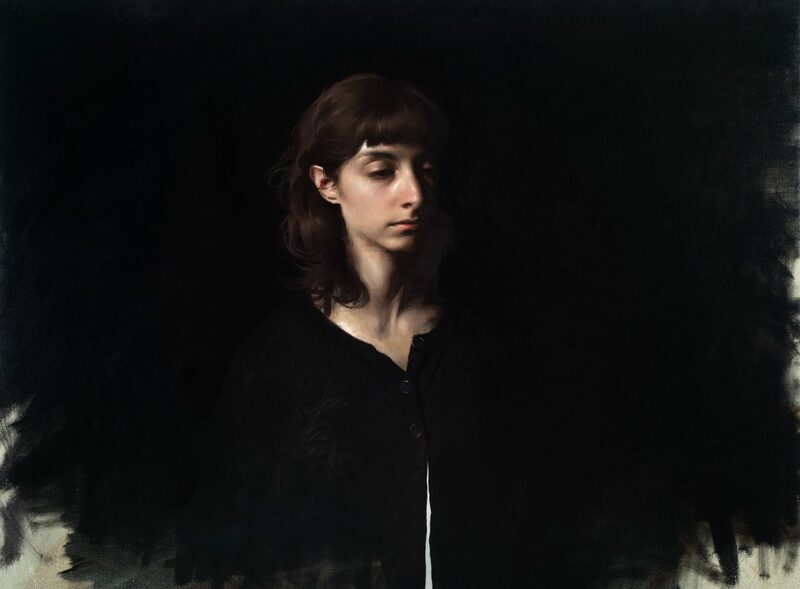 One of the most respected, sought-after painters of representational art today, Sokol, born in Queens, New York, finally had his debut solo exhibition at the Arcadia Contemporary gallery in California, from Nov. 18 through Nov. 30, 2017. Almost every year for the past five years or so, gallerist Steve Diamant had asked Sokol for a one-man show, but Sokol had been hesitant, waiting for the right moment. After studying and teaching in Italy, then moving to Spain and eventually back to the United States to take on the position of academic director at The Florence Academy of Art–U.S. branch, Sokol accepted Diamant’s offer. Several months after he made the decision, his wife, artist Amaya Gurpide, gave birth to their first son, making 2017 the busiest year of his life so far. Sokol generously gave his time for interviews on two occasions: in August, while he was still creating his body of work for the exhibition, and in December, after it had closed. By the time the exhibition had opened, half of the paintings had been sold. Sokol candidly talked about his creative process, inspirations, challenges, and hopes for the future. The Epoch Times: How do you feel about your first one-man show? Jordan Sokol: Solo shows are difficult because you have to go through a long period of time without selling the work, which can become financially difficult. Usually, because it takes me so long to produce, by the time I finish a painting I have to sell it so that I can afford to make another one. There’s actually a lot of overhead involved in these, including the model fees, the materials, the framing, and eventually the shipment. 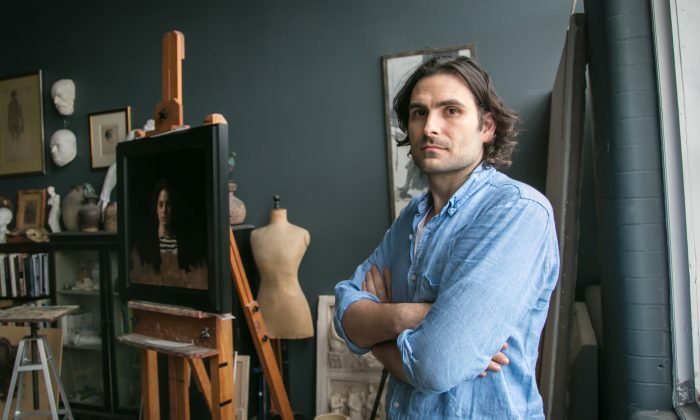 The Epoch Times: Are your portraits titled by the actual name of the model? Mr. Sokol: Not necessarily, because even though my paintings are of specific persons, it doesn’t necessarily mean that that is what they are about. 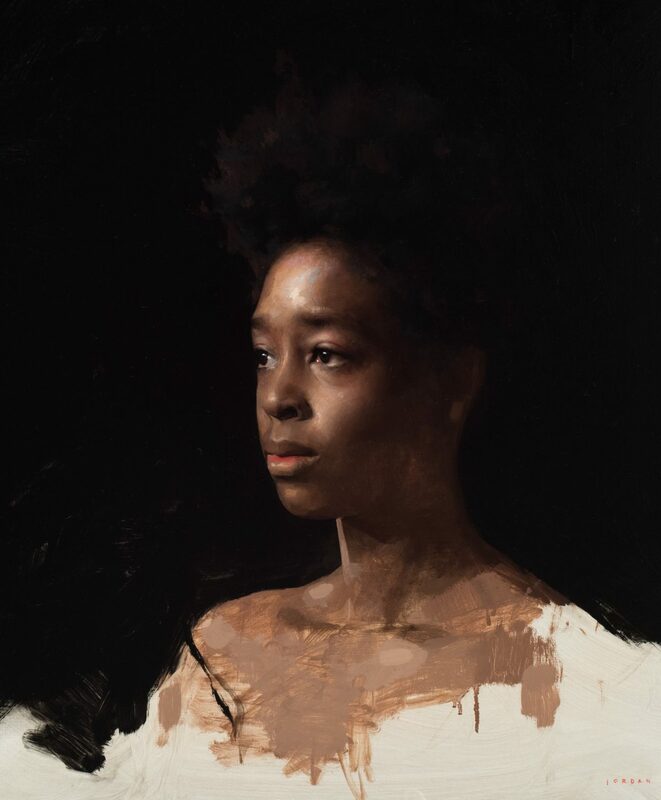 When I’m painting these portraits, it’s a vehicle for something else—almost a metaphor. The Epoch Times: Is that a metaphor you can describe? Mr. Sokol: They are a culmination of a complex set of emotions that go on for a long period of time. The Epoch Times: You call yourself a slow painter; do you consider yourself a perfectionist? Mr. Sokol: I have a hard time defining perfection because I don’t know if perfection exists. It’s important for me to have integrity in my work, but I also want to feel challenged. It’s in trying to push something further, and further, and further, that I get satisfaction from painting. It helps me grow. I don’t start a painting with a clear idea of how it’s going to look … when it’s finished. It develops through the process; it’s like a conversation between myself and what I am seeing as I try to understand how I want to translate this information. The more that I paint the more difficult it becomes, because the more I understand how to do certain things. Suddenly there are more possibilities and options available in how I want to interpret what I see. So I spend a lot of time trying things out—with how I choose to make the highlights seem bright, where I choose to put in a little more color, and so on. The Epoch Times: How much are you concerned about getting the likeness of the person compared with all the interpretative choices you are making? Mr. Sokol: It’s a little bit of both. I’m definitely using nature as a guide. But I think if you would be standing in front of the model and would see my painting, you would probably see things differently. The Epoch Times: A person can reveal a lot about himself or herself without even saying a word. When you are painting someone, do you think about who this person is? Mr. Sokol: Yes and no. In many ways, [the paintings] are more about me than they are about the sitter; they are like self-portraits. The Epoch Times: That’s why I wonder if they talk to each other, because they all seem to evoke different moods in the same conversation. Mr. Sokol: Yeah, that’s where I think I come into the picture [laughs]. I am projecting myself onto all of these people. Even though some of them are my friends and I know who they are to a certain degree, the painting is still not really about them. There is a difference between these and portraits I’ve done on commission. The commissions are definitely about that person. It’s a very different process. The Epoch Times: How would you describe the mood these evoke? Mr. Sokol: It’s very broad. I generally describe it as psychological. The Epoch Times: I find them melancholic, but also very peaceful, especially this one [titled “Crimson”]. It seems you caught her in a moment of realizing that she has let go of something. There’s a sense of resolve in it. 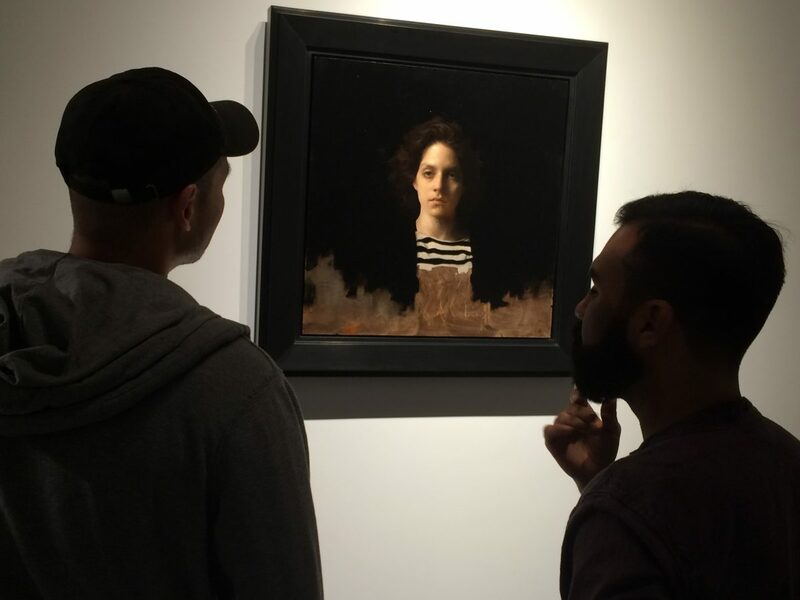 In this one, “Ruby,” she seems to be just starting to realize something, or maybe it’s anticipation, and the expression in this one of Carlos [untitled painting of the artist Carlos Madrid], whatever he’s thinking about seems fully resolved. It’s as if they are all at different stages of sorting out the same issue within themselves. Mr. Sokol: Yes, ultimately I think painting is very much a process of reconciling things. I am using paint as a way of understanding my own experience and the experience of this person in front of me. Painting allows me to experience something in a completely different way, other than just perceiving it. I’m actually trying to manifest it. Throughout that process, I’m trying to understand what it is that makes up this world and how I fit into it. As I paint, I try to recreate it, actually even try to create another world. Reconciliation comes into play, and so painting becomes a long dialogue about all of that. The Epoch Times: Do you feel you have resolved some things within yourself? Mr. Sokol: The conversation is ongoing, so it’s hard to say. The Epoch Times: Most of your paintings are so highly finished, but then you leave unfinished areas, revealing the beginning stages of the painting. Why do you choose to leave them that way? 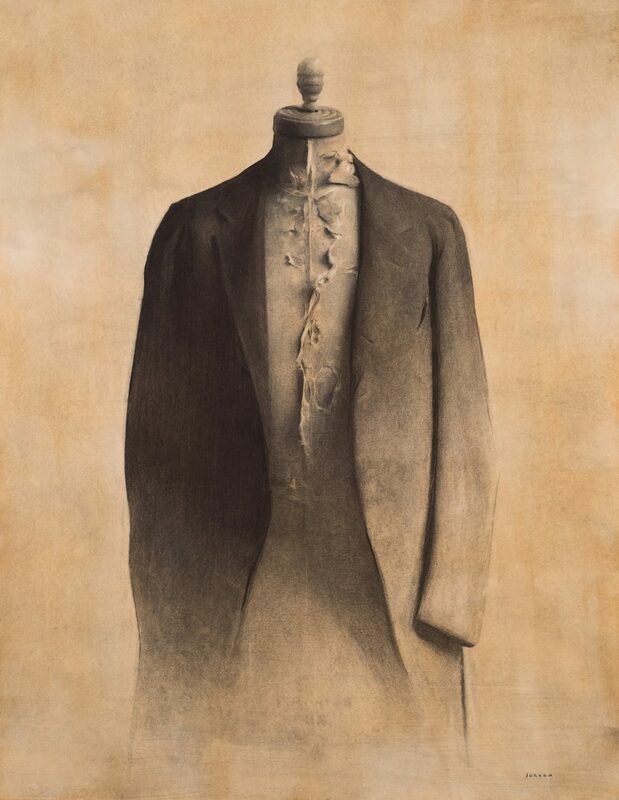 Mr. Sokol: I think it was Leonardo da Vinci who said that a work of “art is never finished, only abandoned.” I have a hard time understanding what it means to finish a painting. I’ll just keep working on it, working on it, working on it until sometimes I will overwork it and risk destroying it, unfortunately. In that sense deadlines are good for me, or in some cases a collector will buy the painting while I’m still working on it. The Epoch Times: What challenges you? Mr. Sokol: I am trying to manifest this reality onto the canvas or panel, as opposed to just trying to create an impression of what’s in front of me, so I’m trying to push beyond the impression. It almost feels unreachable. 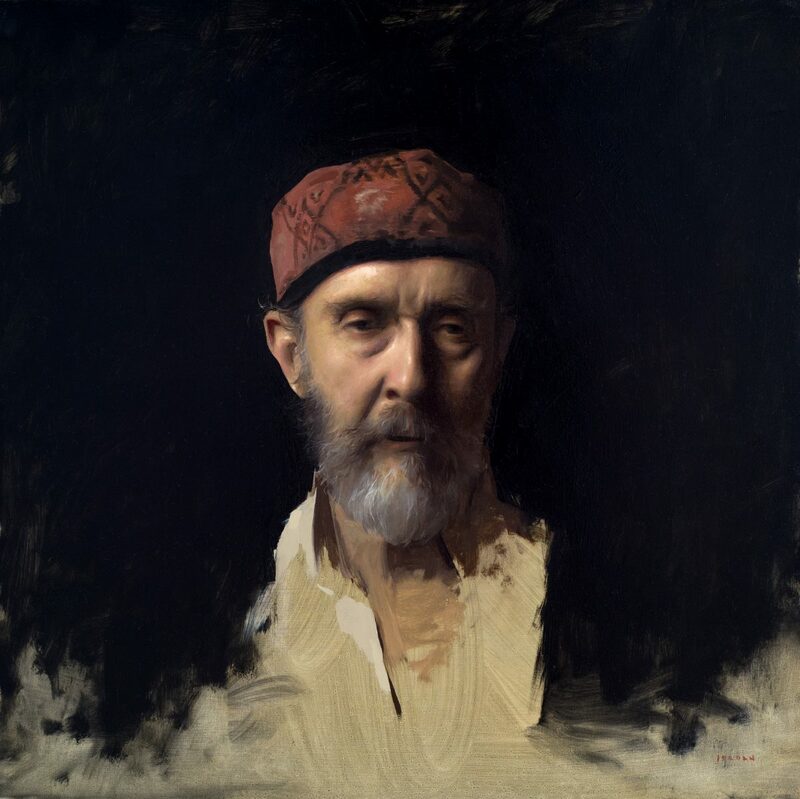 If you compare painters like [John Singer] Sargent (1856–1925) with Rembrandt [van Rijn] (1606–1669), they are both great but very different kinds of painters. Sargent’s painting being more on the side of impressionism. With Rembrandt, particularly his oil painting and how layered they are, some of his paintings almost seem more real than reality because of his interpretation. His thoughts and emotions, and everything he puts into it ends up elevating the work. I think that is the challenge. Andrew Wyeth (1917–2009) is a very different kind of painter, but similar in that regard. I’m very interested in a painting that unfolds as opposed to deconstructs. When you look at a Sargent, you can almost decipher how he placed each brush stroke to produce the effect that he wanted to achieve; whereas the longer that I look at a Rembrandt or a [Diego] Velázquez (1599–1660), the more I am mystified by it. It continues to unfold, and the mystery of how it was created becomes more complex. The Epoch Times: Rembrandt’s portraits are almost eerie in how alive they look. Mr. Sokol: Also, imagine if you were living at that time. You wouldn’t have had a concept of what a photograph is, of an image being reproduced mechanically. In that sense, Rembrandt wouldn’t have had a concept of something being so accurately reproduced in an instant [snaps his fingers]. 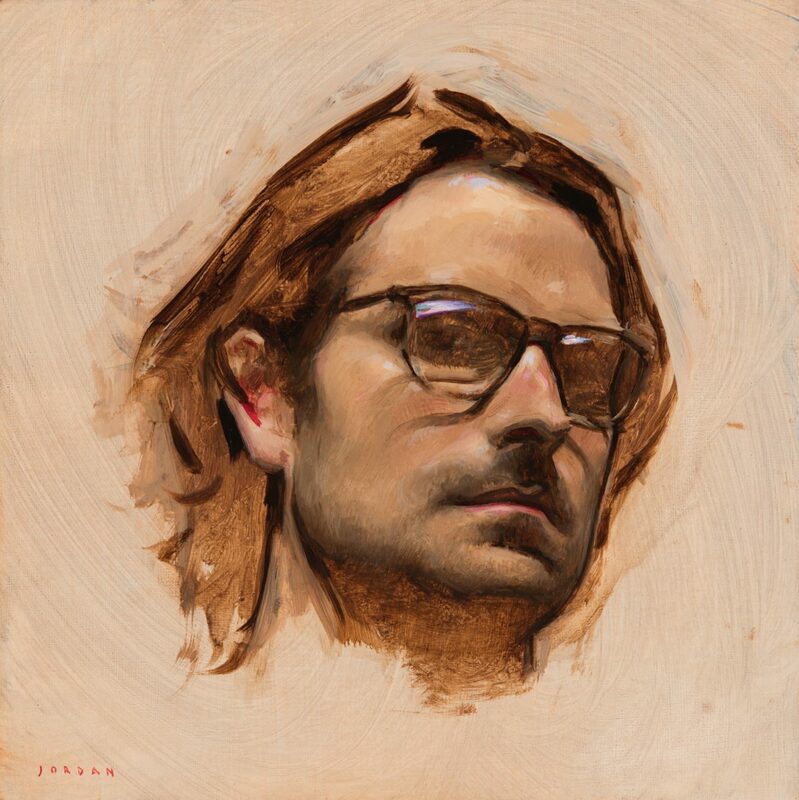 Nowadays, when somebody looks at a [realist] painting, they say, “Oh, that looks so real, it looks like a photograph.” So we have this ingrained concept in our minds that a photograph just looks like a reproduced image of that person. But since Rembrandt lived at a time before the invention of photography, I can imagine that he felt like he was actually manifesting a person, not just capturing the image of the person. That is a completely different mentality that leads to a completely different result, which is one of the reasons why I think it is so difficult for people to accomplish that now, because we cannot escape that idea of just creating an impression of a person. The Epoch Times: When you are painting, how do you forget that idea of mechanically capturing an image, like in photography? Mr. Sokol: I try to be really focused and present in the moment. The Epoch Times: You mentioned Wyeth, comparing him to Rembrandt; what do you admire about him? Mr. Sokol: Wyeth has been the most influential artist in my life. He’s a real humanist and was able to create a mythology out genuine human experience in a contemporary reality, similarly to Rembrandt. But I think it is easy to say “Well, Rembrandt painted 500 years ago.” But Andrew Wyeth is one of the very few people that I can think of who was living during my time and capable of doing the same. In the past, people used already-established mythologies and religions, and expressed humanity within that context. I love Rogier Van der Weyden (1399–1464), for example. If you look at his deposition (“The Descent from the Cross”; it’s in the Prado museum in Madrid), he depicted all of the characters, Jesus and Mary and so on, fully engaging their humanity. So Van der Weyden is taking this already-established religion and he’s humanizing it more, in a way that allows the viewer to connect with it on an even deeper level. And Andrew Wyeth was able to take the people he knew, who lived around him, and elevated them, making them universal in the same way that I find Van der Weyden is doing with these religious figures. And for whatever kind of magical, mystical reason, Wyeth was able to achieve that. I find that is so profound to take the life that you live and really elevate it until it becomes universal. The Epoch Times: How do you see yourself as an artist in the context of what’s understood as contemporary art? Mr. Sokol: I am inspired by many artists of the past, but I am equally inspired by contemporary artists, or even abstract artists. 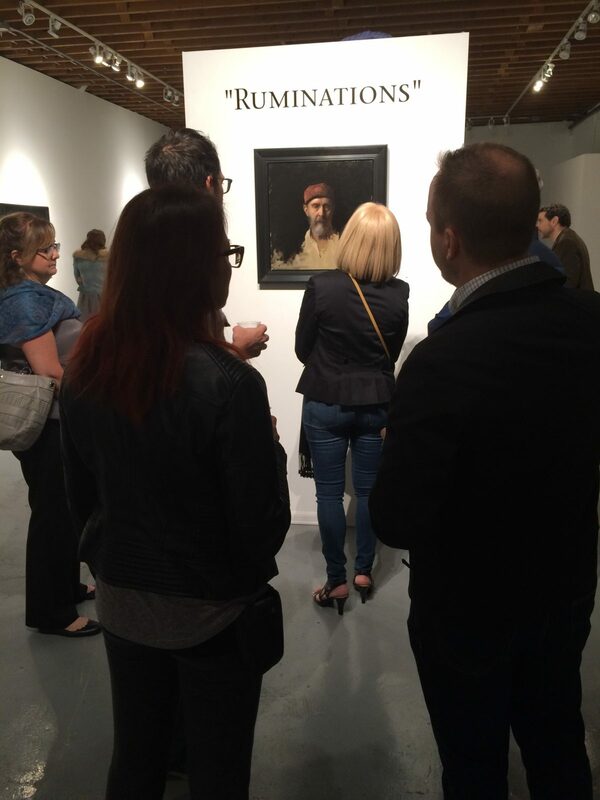 It influences me in ways that I find just as useful as looking at Rembrandt, for example. I feel it’s important to be open to things; you never know where inspiration comes from. I choose to paint representationally [instead of conceptually] because I find the natural world far more interesting than anything that I could imagine in my head. The world that we live in—also the human body, the psychology of people—is in itself so endlessly fascinating with all its subtleties, nuances, and complexity. It just keeps me going. Reading Joseph Campbell’s “The Power of Myth” was a major turning point for me. I got so excited about the idea that the more that I would learn about the world around me, the more alive the world would become. But I do I worry about a lifestyle that may not be sustainable. 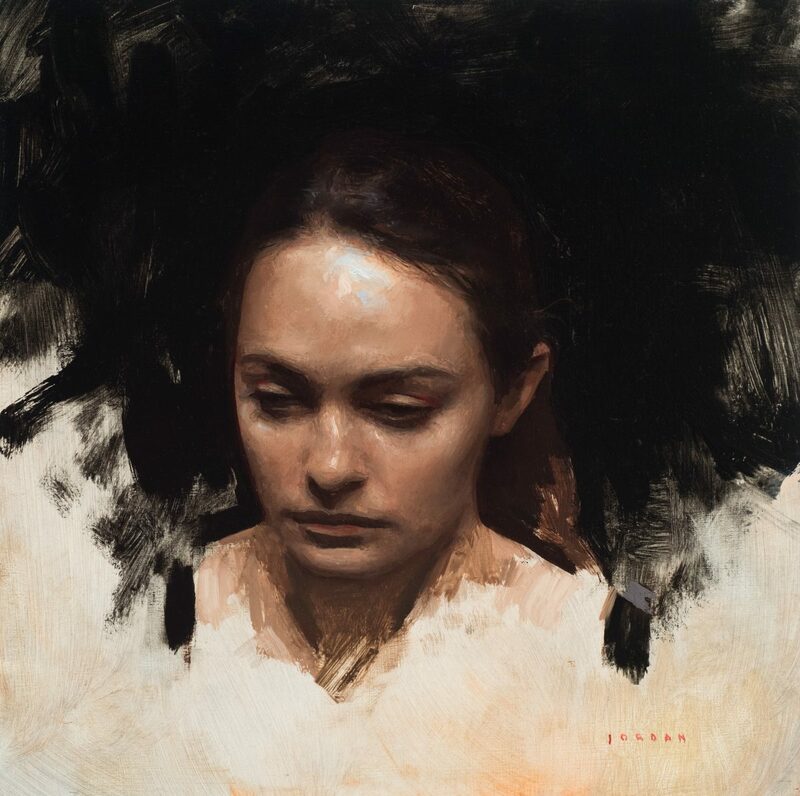 I do find that it is a shame that there are so many great artists in the community [of representational artists drawing, painting, or sculpting from life] who are making such great work and for some reason can’t surpass a certain price that artists in the contemporary art world are far surpassing. The Epoch Times: What are your hopes for the future in terms of art and culture? Mr. Sokol: Unfortunately, popular culture is dumbing down the general public. The educational system is not good, and not just in the arts. Popular culture is very exploitative, with its main interest in making money rather than in educating. It panders to our most base impulses, to instant gratification, and to indulging in things that aren’t necessarily the healthiest. I would hope people and artists would embrace things that are more productive, things that would challenge us and elevate us as people. Then kids can grow to be encouraged to educate themselves, and from that they will come to a certain refinement in their understandings of things. As far as my own work goes, I think I will just continue searching and hopefully find new and different ways of taking my experience and manifesting that with paint in a way that I feel is truthful.